You don't have to be on the court to cheer for your team in true fan style! 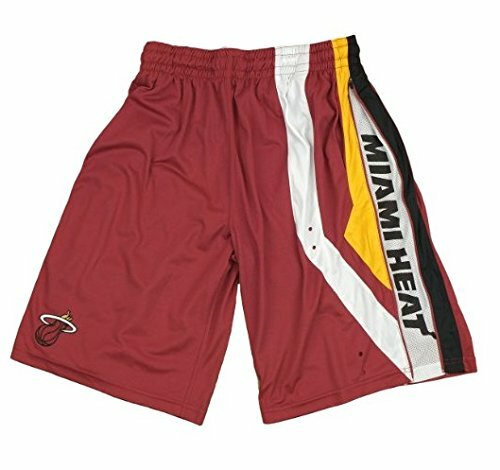 Represent your favorite team with these Zipway NBA Mens Chaz shorts. They feature a team logo patch on right leg, four vent holes on the left leg, along with a wide elastic waistband and drawsting for secure fit. These single layered lightweight shorts have a unique Zipway gusset vent feature for optimal ventilation. Mens sizing. Team logo patch sewn right leg. Four Vent holes on left Leg. If you have any questions about this product by Zipway, contact us by completing and submitting the form below. If you are looking for a specif part number, please include it with your message.